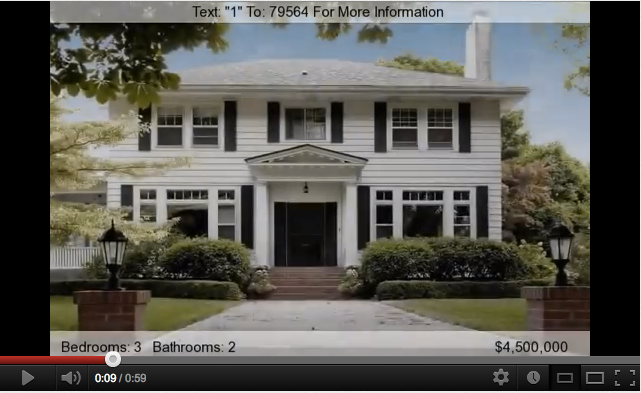 Yes- you absolutely should be using YouTube for real estate marketing. It's important to make sure your listings appear on all of the most popular search sites. YouTube is the second largest search engine after Google- more than 800 million unique visitors come to YouTube each month. Your properties, specifically your virtual tours turned into a video, should be posted on YouTube in order to take advantage of the site's popularity. The easiest way to do so is to have your virtual tours syndicate to YouTube automatically. ePropertySites makes it easy to syndicate videos to YouTube with our video creation and syndication feature, which turns your property photos and virtual tour into a YouTube video automatically and uploads the video right to YouTube (your channel or ours) for you. Here's how to make sure your properties syndicate to YouTube automatically, every time. All you need to do is create a single property site for your listing- ePropertySites does the rest for you! Follow these three steps to create a site and get your virtual tours sent to YouTube for real estate marketing! Upload at least 5 photos for your listing. View the virtual tour the system generated from your photos. Once your property is activated it will immediately be added to our syndication list. Step 3. Now sit back and relax! We take care of everything else for you, automatically. Every night our system checks for new properties. As long as you have completed the above information, your YouTube video will be instantly created and uploaded to YouTube. View a sample YouTube real estate video here. Every single day, Facebook users watch 500 years worth of YouTube video. On Twitter, over 700 million YouTube videos are shared each minute. YouTube is huge, and using YouTube for real estate is a smart and tech-savvy approach to marketing your properties. And the real estate world is certainly catching on: according to the 2011 Realtor Technology Survey Report, more real estate professionals use YouTube than use Twitter, Google+ and blogs. In fact, YouTube is the third most popular social networking site for real estate. This means that many of your colleagues and competitors are already posting real estate videos to their YouTube channels. The process of creating and uploading a video can be frustrating and time consuming. Cut the lengthy process of turning your virtual tours into YouTube real estate videos, and let ePropertySites do all the work for you!